Look at this wonderful home that has been beautifully maintained. The home sits just shy of an acre and features over 2000 sq. ft. of living space with 3 bedrooms plus two separate living areas and 2 baths. The house has a great gathering kitchen with a center island, loads of counters and cabinet space along with a dining area and built in desk.The master suite features a garden tub, separate shower and walk-in closet. 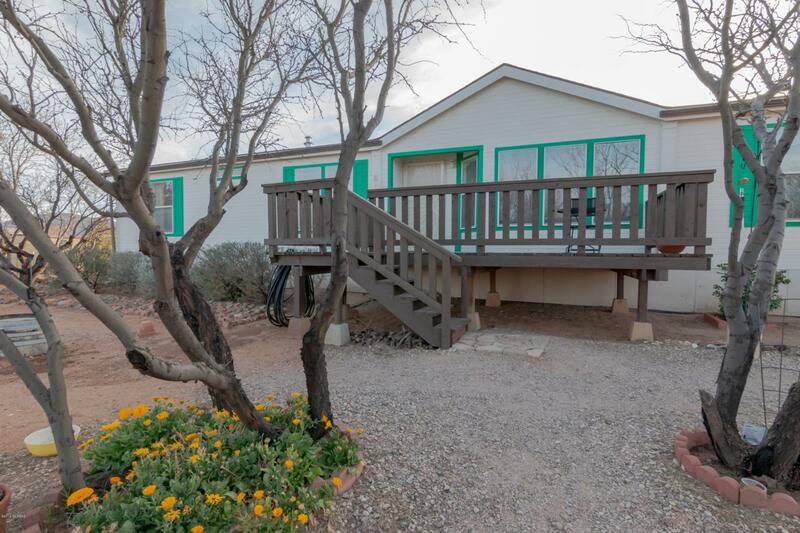 The home also includes a front deck where you can sit out and enjoy the mountain views while relaxing in the beautiful AZ weather. This home is move-in ready and wont last long!